Owen Lane produced a spectacular acrobatic try to help Cardiff Blues to an 8-7 win over Connacht Rugby despite being down to 13 men at the time. 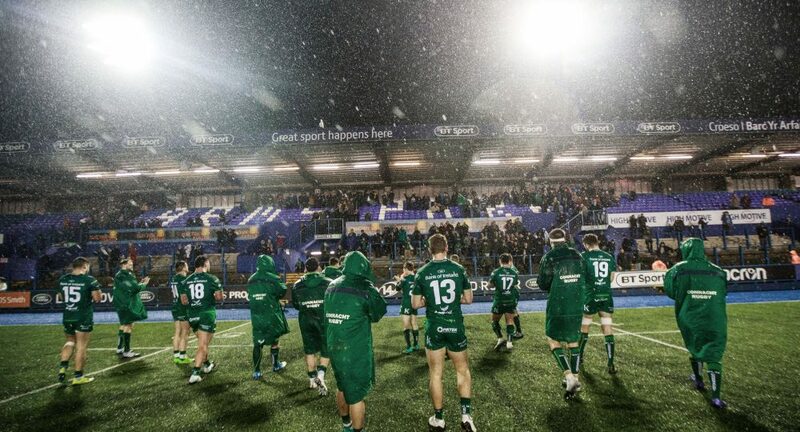 Awful conditions for most of the game at Cardiff Arms Park made it difficult for both of the Guinness PRO14 sides and Connacht looked like they might stage a last-minute comeback but the Blues held on. The result brings John Mulvihill’s team right back in to contention for a play-off place after they started the afternoon five points behind their match day rivals in Conference A and will finish it just two points behind. Cardiff took the lead after Eoin McKeon was penalised at the breakdown and Steven Shingler stroked a 38-metre penalty through the posts with ten minutes on the clock. They then had prop Brad Thyer sin-binned for illegally pulling down a maul just outside his own try-line but Connacht made a hash of the resulting scrum. The discipline got worse when No.8 Nick Williams was also sin-binned for a late tackle on Finlay Bealham leaving the Blues with 13 men on the field for the next five minutes. 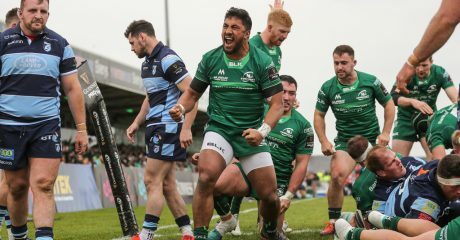 Just as it looked like Connacht were growing into the game the Cardiff delivered a sucker-punch through Lane who continued his impressive rise through the ranks to get his whole body airborne as the tackle came in from Tiernan O’Halloran and placed the ball perfectly in the corner. The TMO was called into action much to displeasure of fans inside Cardiff Arms Park but there was no taking away from Lane’s brilliant acrobatics and the Blues went in at half-time with an 8-0 lead. 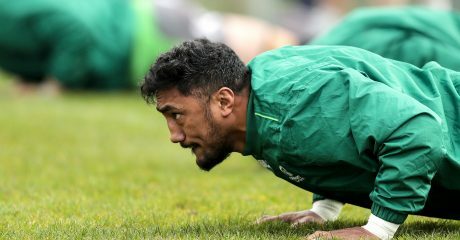 The Blues emerged a more disciplined side in the second-half and kept Connacht at bay while the rain and the wind subsided for the last ten minutes of rugby. 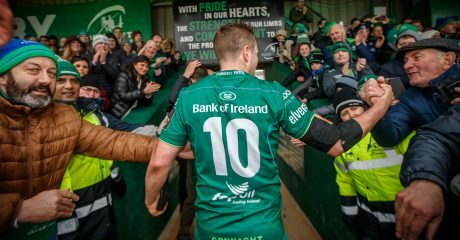 It was the try scorer Lane who carried the ball over this own try line to hand Connacht a lifeline in the form of a five-metre scrum which the Irishmen grabbed with both hands scoring through Paul Boyle and Conor Fitzgerald adding the extra two from the conversion. 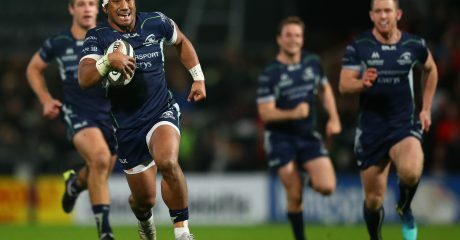 With five minutes left to turn the tie on its head Connacht threw everything they had at Mulvihill’s side but it wasn’t enough and after spilling the ball forwards the final whistle called a halt to proceedings.